Rather than rest on their keyboards after being kicked off Google+, the hacking group known as Anonymous has created a holding page for AnonPlus, a "new social network where there is no fear...of censorship...of blackout...nor of holding back." Unlaunched the social networking site may be, Anonymous does promise that everyone will be able to create a profile on the account—hacker or not. Another string to add to our social networking bow? It looks like it. 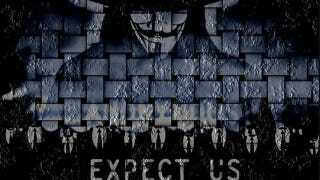 Anonymous writes that "we will not be stopped by those looking to troll or those willing to stop the spreading of the truth." As well as deleting their Google+ profile on counts of violating their community standards, it looks as though Google is taking a hard stance on hacking and has also revoked access to their Gmail account.